Nothing much beats the feeling of walking along the icy sand on a wintery morning with only your dog to keep you company. The crashing waves are muffled by the heavy mist shrouding the beach; the crisp, fresh smell of sea salt and kelp smartly slapping me in the face while the foghorn emits a dull boom in the distance and the sun is a mere golden smudge to the east. My warm, woollen beanie is pulled down low over my ears with the mixture of sea spray and mist rendering my glasses beyond useless and my bulky jacket ensuring that I look like a squat version of the “Michelin Man”. This is the weather that I live for, the eerie glow of the sun struggling to break through the swirling mist possessing the power to transform the dark shapes and shadows of the piled up seaweed into otherworldly creatures… the rain-splashed glasses are not helping my imagination! Rogue, who up until this point had been fully focussed on rootling around in some foul smelling entity, is suddenly on full alert (again… not helping my imagination!) 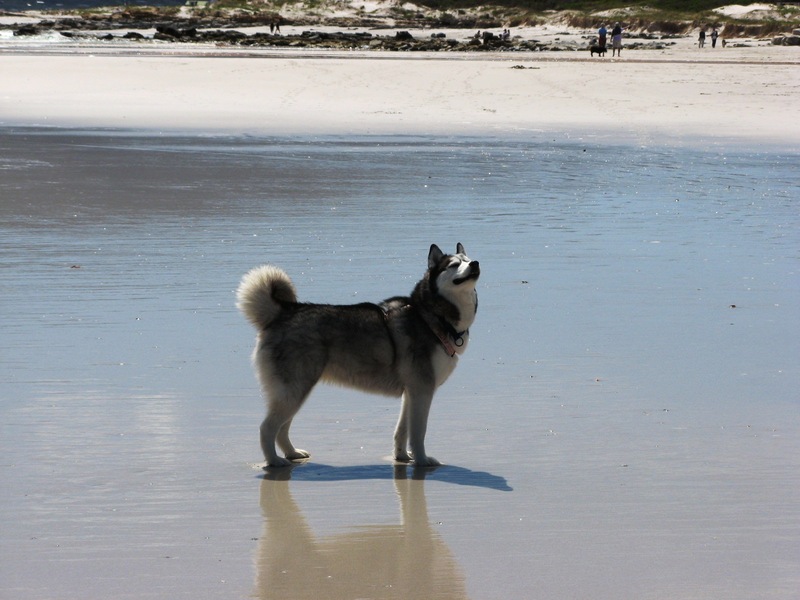 pricking up her ears and pointing her nose skyward as she sniffs the fresh, salty air. Rogue picking up a scent… probably just someone’s lunch or a freshly filled bowl of cat food! She has picked up a scent. It could be anything as she has a keen sense of smell, often smelling the seals that are frolicking beyond the breakers or the tasty bacon and eggs being served up at a nearby B&B or even just the peanut butter jar being opened in the kitchen when she is lying at the bottom of the garden. I quickly hook her up anyway, before she determines the direction from which the scent is travelling and I lose her to the all-engulfing mist and someone else loses their bacon. A short while later the mist begins to recede, the sun winning this battle, leaving only wispy tendrils curling up the beach and revealing a busy intersection of footprint trails. 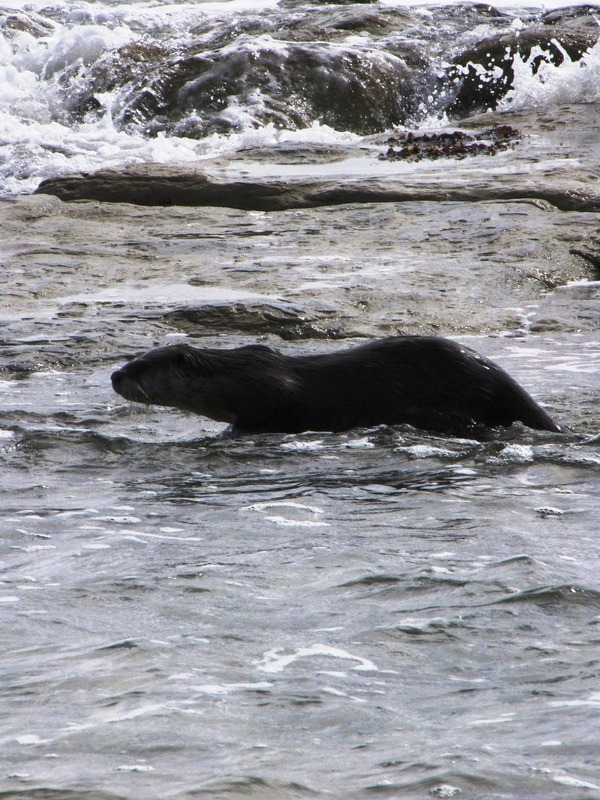 I follow Rogue’s lead and look to the water where a beautiful Cape clawless otter (Aonyx capensis capensis) can be seen barely breaking the surface with a movement reminiscent of an anaconda gliding down the Amazon. 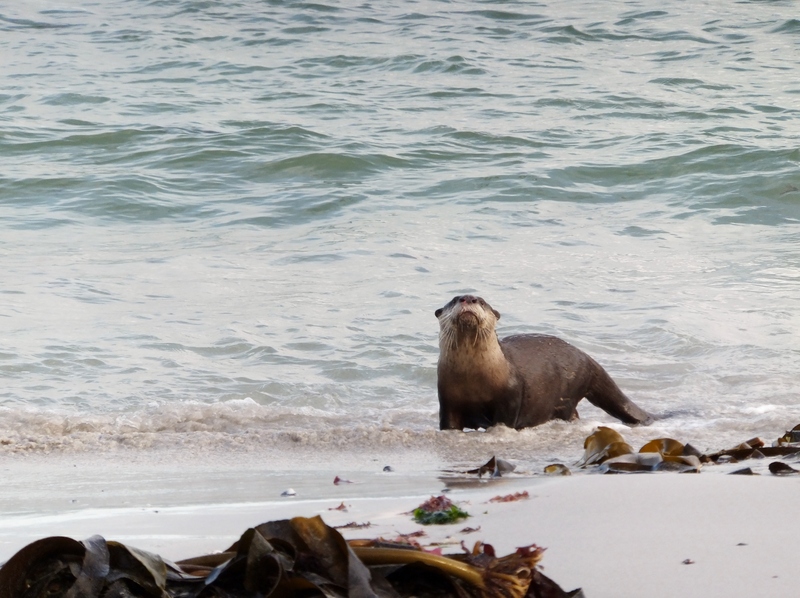 It is no wonder then that it has been suggested that a family of otters swimming in single file off the shores of Loch Ness can account for at least a handful of the “Loch Ness Monster” sightings! 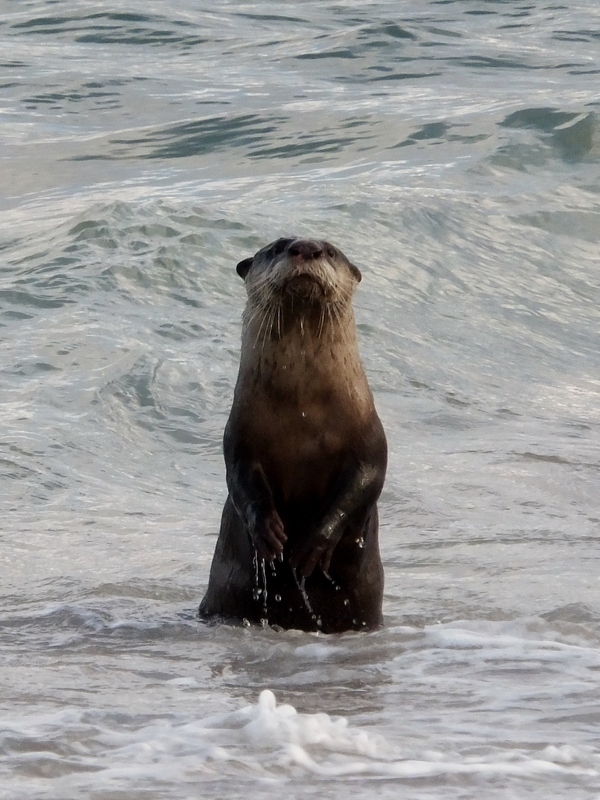 Otters appear throughout the historical tomes of myths and legends; popping up in Native American, Japanese, Celtic and Norse folklore since time immemorial being portrayed as anything from an invincible warrior to the playful trickster. 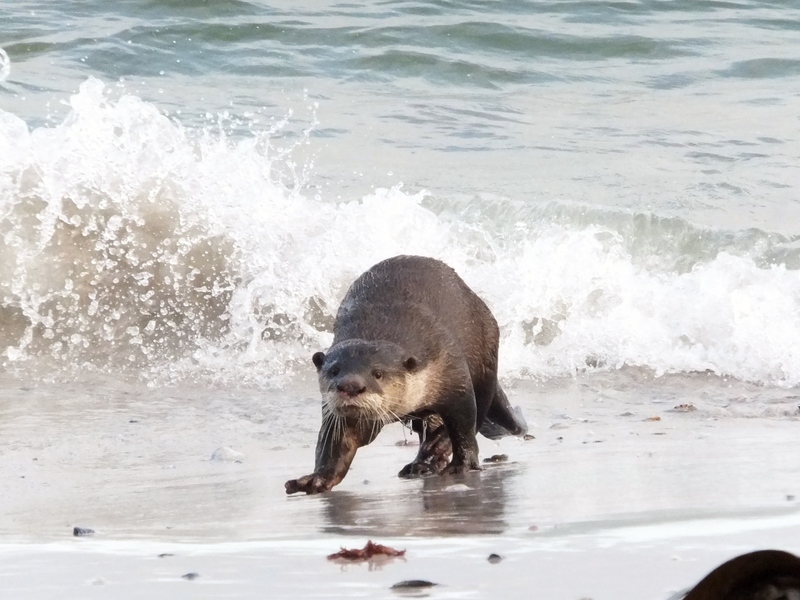 Their popularity notwithstanding, otters have been persecuted since the mid-1700s when Captain James Cook initiated the exploitation of sea otters (Enhydra lutris) for their pelts and subsequently decimated their populations. 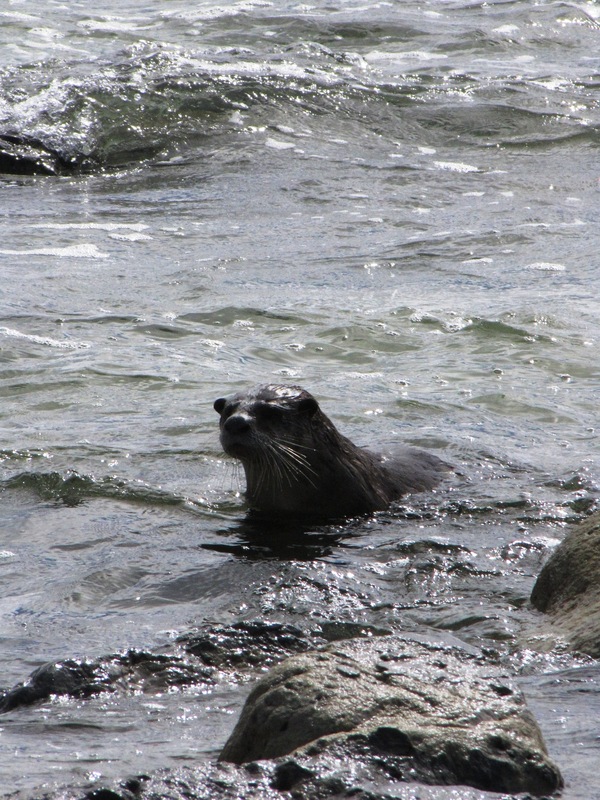 While sea otter fur was highly sought after, along the coasts of northern British Columbia and Alaska, North American river otters (Lutra Canadensis) were regarded with fear and respect as they were associated with ghosts and drowning resulting in their consumption being forbidden in many tribes. 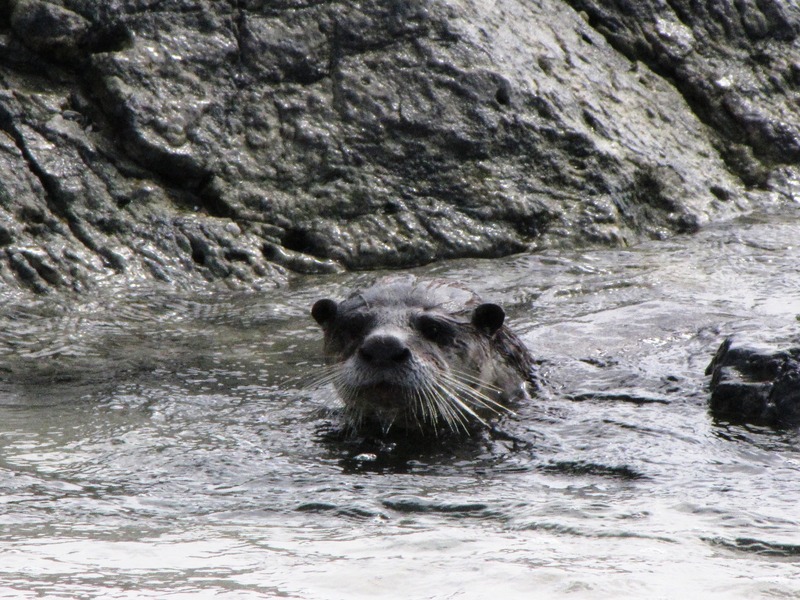 This led to some conflict between communities when these river otters were trapped and their furs sold to the colonialists. Due to the limited number of remaining sea otters, their pelts reached their maximum monetary value of $ 2000 in the late 19th century with their depletion at the hands of Russian hunters thought to have been a contributing cause (along with intensive hunting) of the Steller’s sea cow (Hydrodamalis gigas) extinction in the late 1760s. Just polished off a crayfish lunch. Prefers the safety of the water when the beach is too busy. 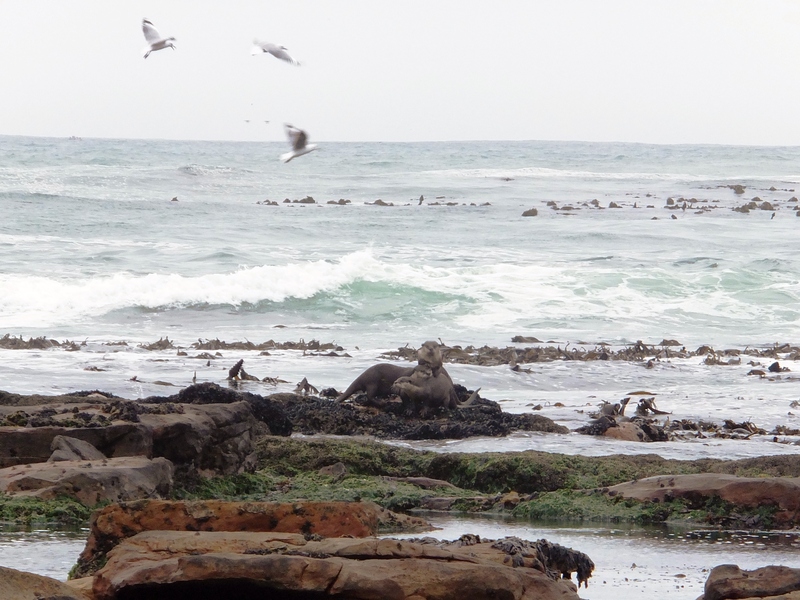 A pair of adults feeding on an offshore boulder in Simon’s Town. Heading back into the water for seconds! 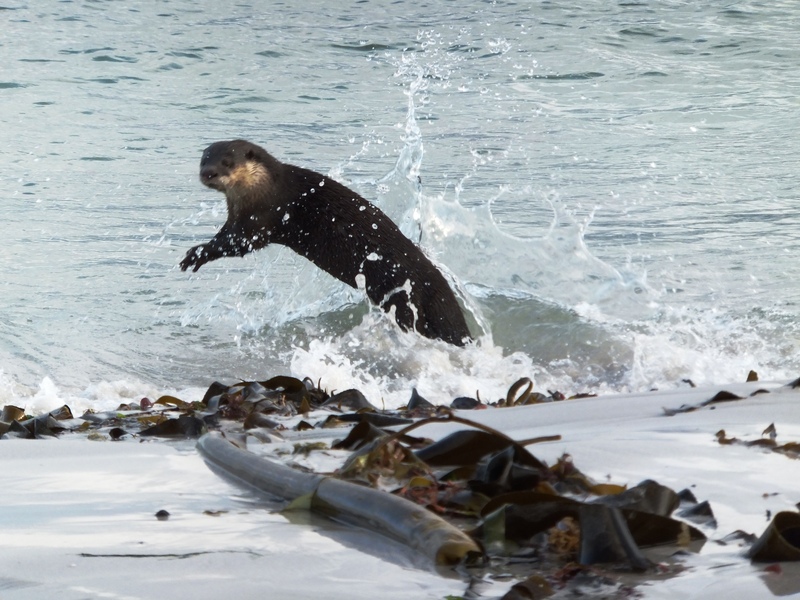 Sea otters maintained the primary food source of the sea cow, kelp, by preying on the sea urchins inhabiting the beds. 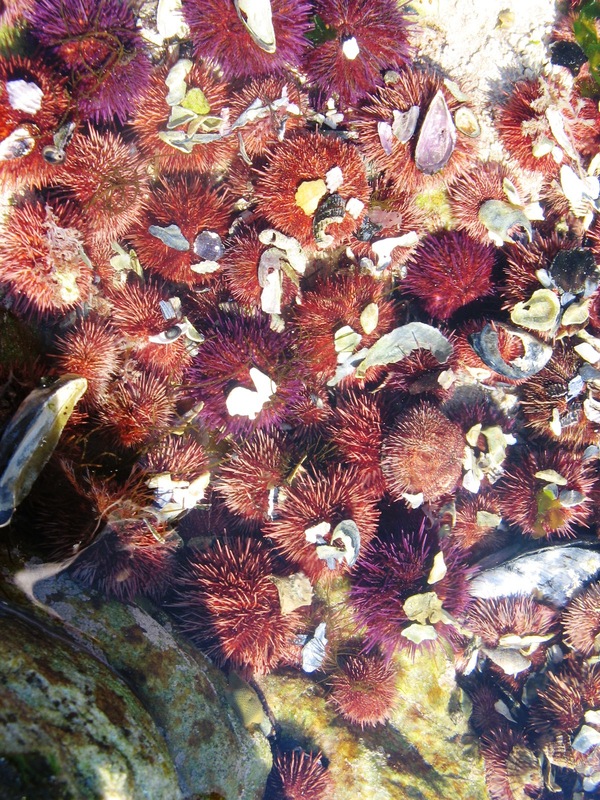 An ecological disaster was triggered when a rapidly reducing otter population allowed the urchin population to explode, substantially increasing its grazing pressure, resulting in an “urchin barren” (a phenomenon still seen today) as kelp forests started to disappear. It took approximately 28 years, from the time of European discovery, for the Steller’s sea cow to go extinct. Bering Island, located off the Kamchatka Peninsula in the Bering Sea, bore witness to one of history’s most rapid exterminations. Vitus Bering, a Danish explorer and officer in the Russian Navy, spent approximately a year stranded on the island in the early 1740s with his crew. 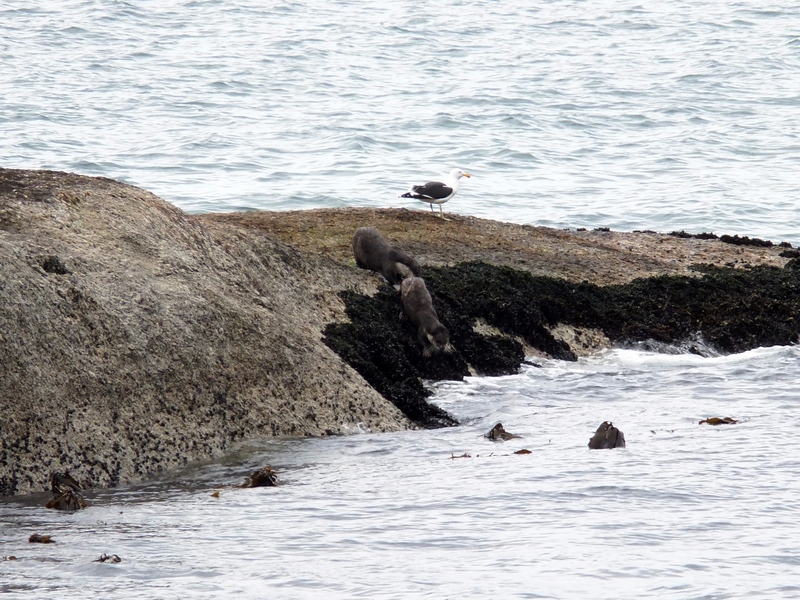 At this point in time sea otters were still widespread and numerous throughout their range, covering this particular island in groups of between ten and a hundred individuals. Five months later, it was recorded that sailors had to trek for up to at least 40 km to sight one. While nature reserves and marine protected areas now protect these playful creatures, they are still classed as Endangered on the IUCN Red List. A bed of Cape urchins (Parechinus angulosus), also known as “Sea Hedgehogs”, using broken shells as “sunshade”. 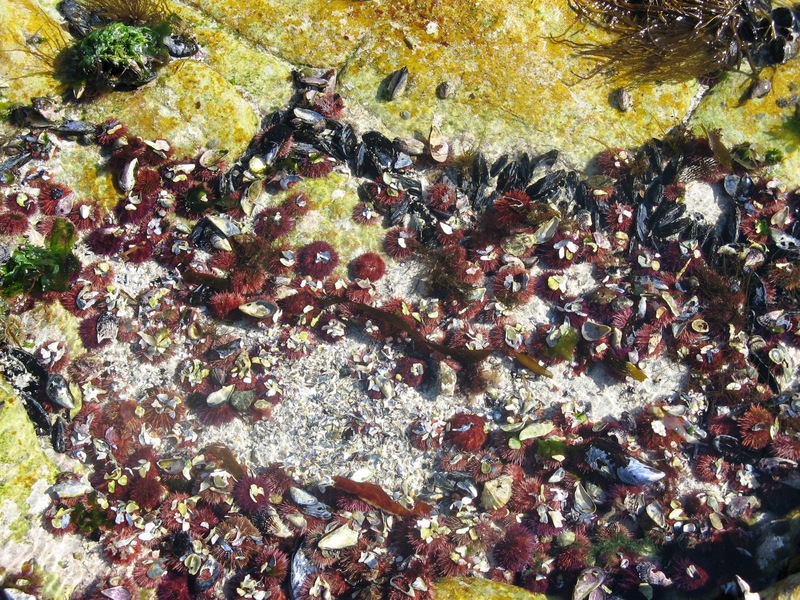 An important component of the otter diet, urchins are abundant on rocky shores in both the Western and Eastern Cape. Urchin feeding mechanism, “Aristotle’s Lantern”. Their tail is used for propulsion when in the water and for balance when walking and standing upright on land. They can weigh up to 22 kg and live up to 15 years. They are mainly diurnal, retreating into their holts during the heat of the day. Its most common natural enemy is the python that lies in wait near or in the water. 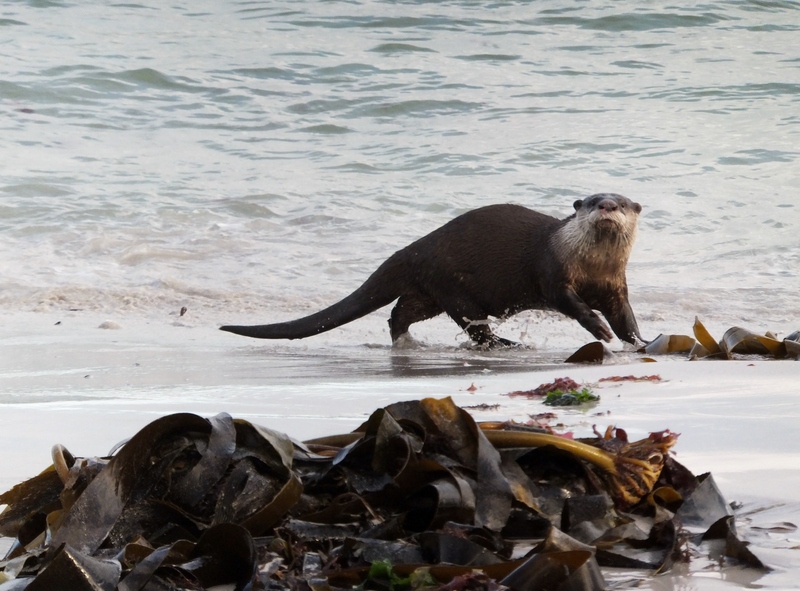 In South Africa we have two otter species; the Cape clawless otter (Aonyx capensis capensis), a subspecies of the African clawless otter (Aonyx capensis), and the spotted-necked otter (Hydrictis maculicollis). 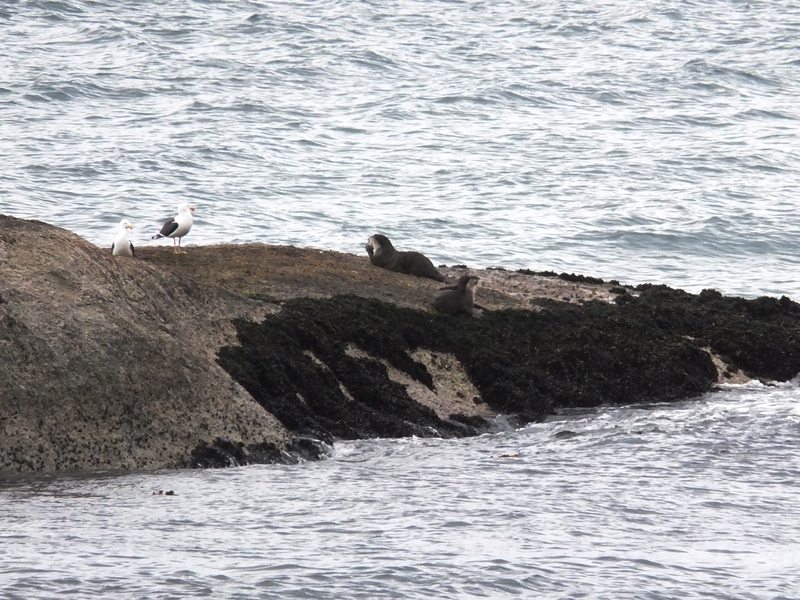 Both of these species have an IUCN ranking of Least Concern with the latter being much smaller in size than the former and never occurring in the sea. 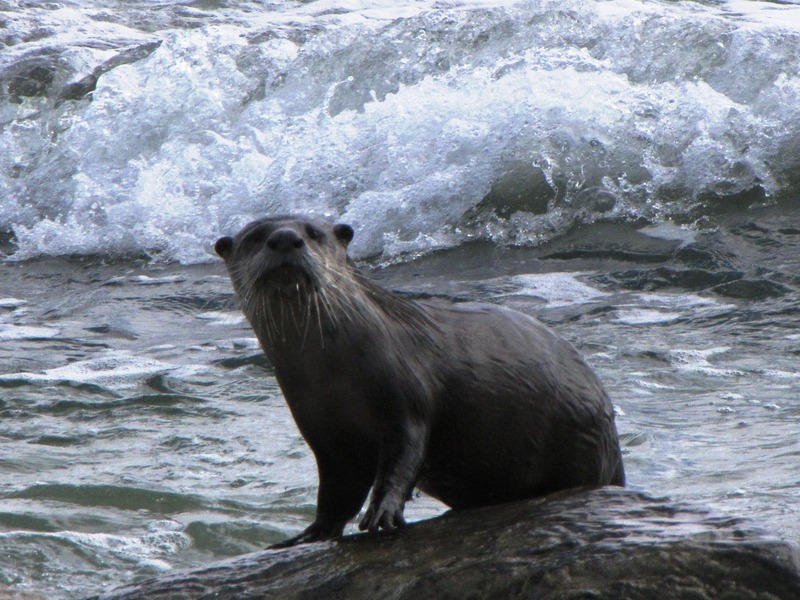 It is thought that freshwater sources are a common determinant in coastal distribution as these otters depend on them for drinking as well as to aid in washing off the salts accumulated from spending time in the ocean. 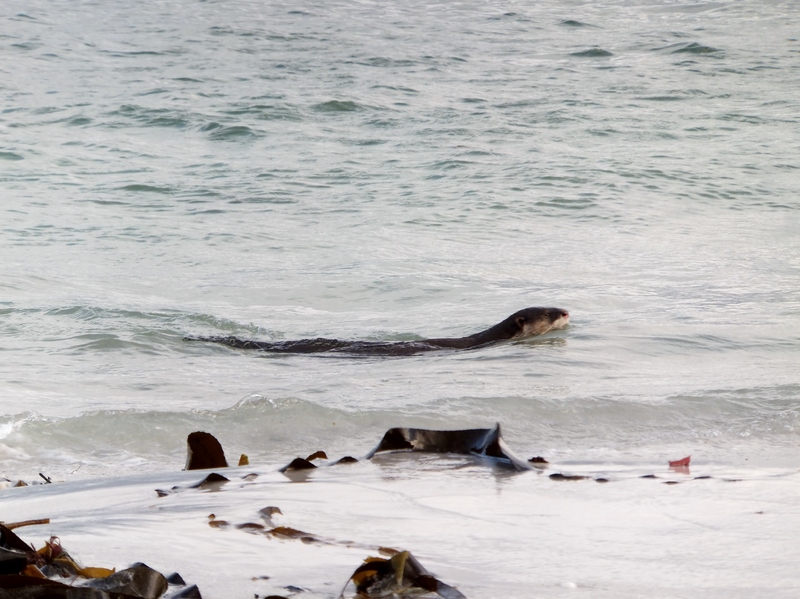 Research is being undertaken by the University of Cape Town, through the Cape Clawless Otter Project, to “understand the spatial ecology and health of the Peninsula’s otters”. I have often happened upon the Cape clawless species frolicking in the shallows, munching on a West coast rock lobster (Jasus lalandii) while plonked on a nearby rock or skulking down the beach in the early morning or late evening. They are curious by nature often exiting the water to investigate the dogs, much to Rogue’s indignation. Curious and mischievous little beings. Playfully mimicking the dogs’ behaviour. Their thick white whiskers are used as sensors to pick up movement during their time spent hunting in the water. A lucky sighting! 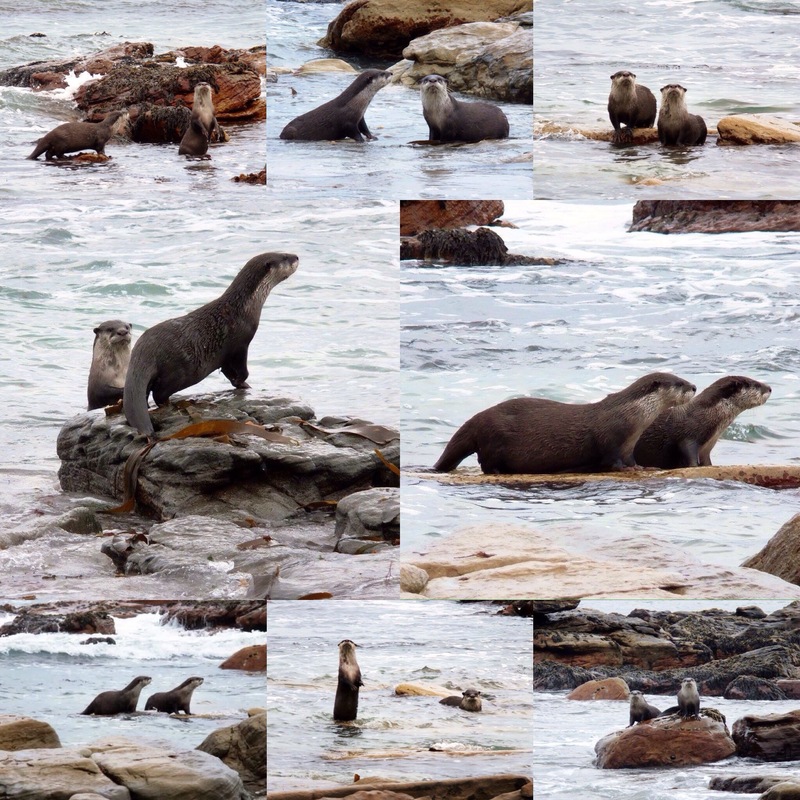 One otter meeting up with two others off Kommetjie. 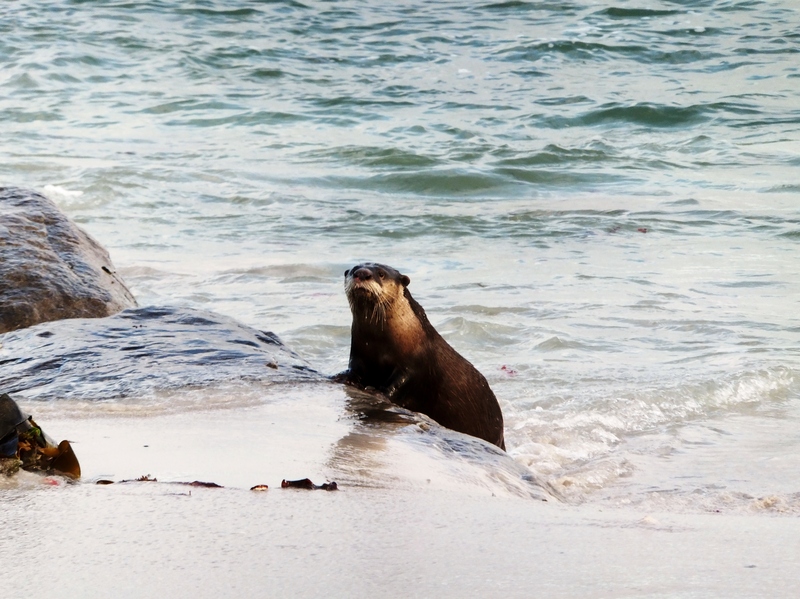 An actively foraging pair on Longbeach. 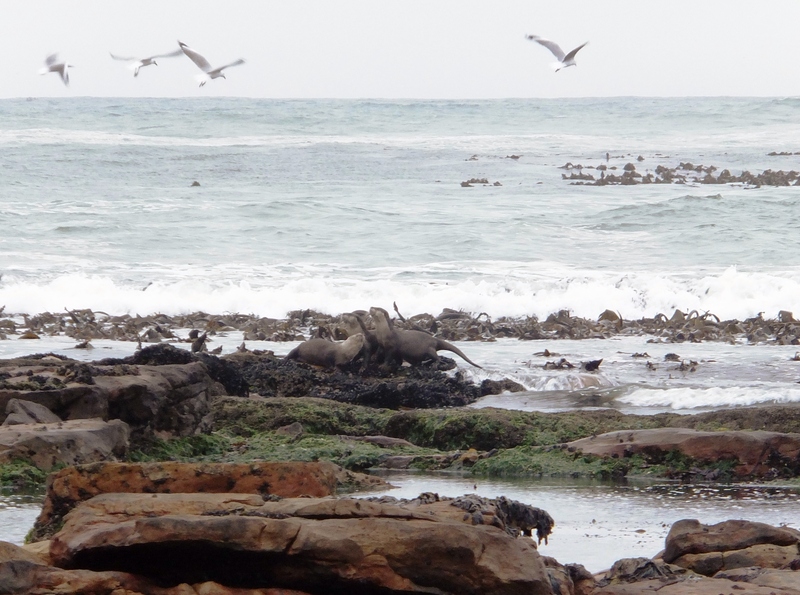 If you observe any of the African otter species, submit your observation and assist the African Otter Outreach Project in the determination of otter distribution. Branch GM, Griffiths CL, Branch ML & Beckley LE. 2010. 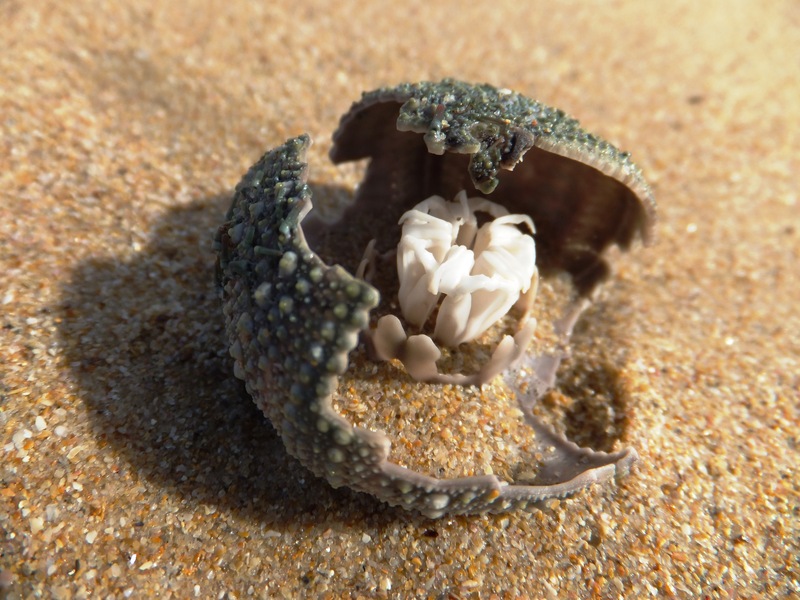 Two Oceans: A Guide to the Marine Life of Southern Africa. Struik Nature: Cape Town. Cillié B. 2004. The Mammal Guide of Southern Africa. Struik Nature: Cape Town. Puplett D. Date Unknown. 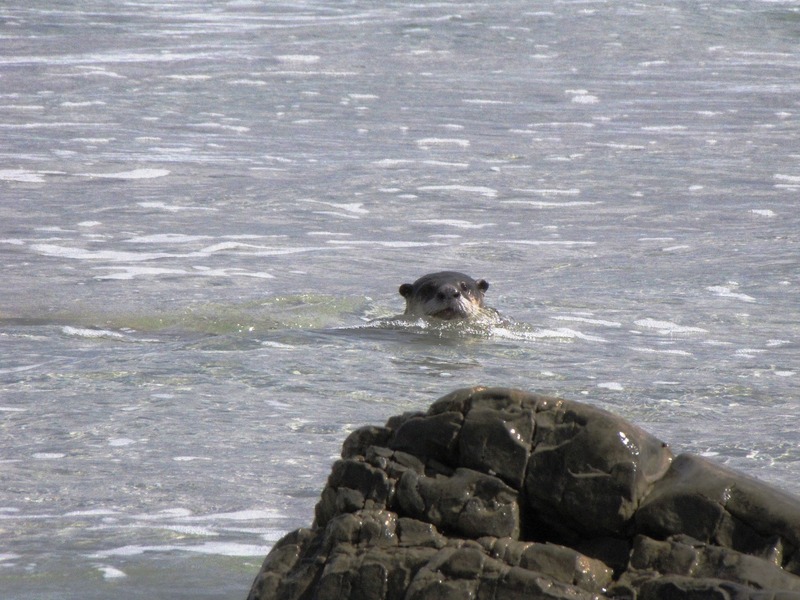 Otter – Mythology and Folklore. [ONLINE] Available at: http://treesforlife.org.uk/forest/mythology-folklore/otter/. Roberts CM. 2007. The Unnatural History of the Sea. Island Press: Washington DC. Fantastic Sally! – I’m really enjoying reading your articles and I’m always looking forward to the next one. Keep up the “polished” publications – We’re very proud of you! Great photos, great story – great post! Very interesting read Sally, & great pics! 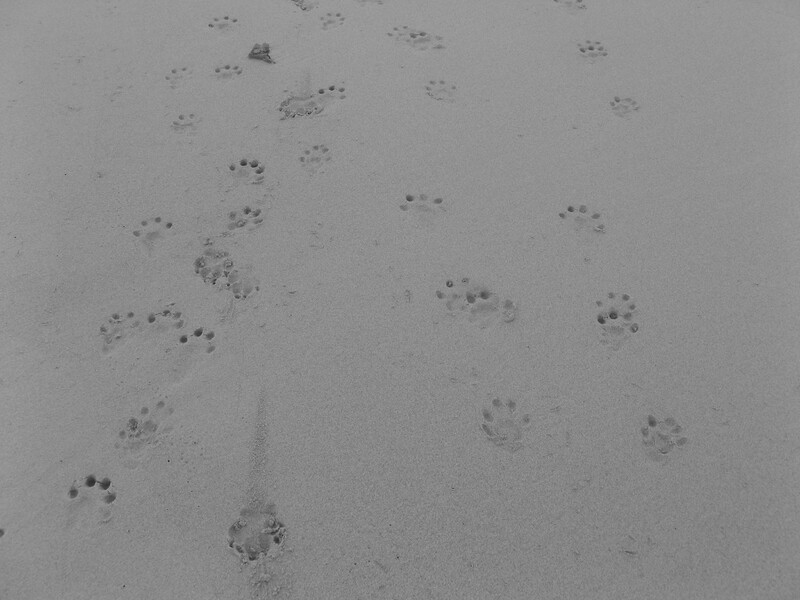 Reminded me of a wintry walk along the Betty’s Bay beach – just the two of us, our dog, my Dad’s dog, and an otter, who was so interested in us, he (she?!) accompanied us the length of the beach, but from the safety of the shallows, constantly raising his head above water to keep tabs on us. Was a great experience! I would love to use your photo of the Aristotle’s lantern in educational signage at a not-for-profit education centre. Please could you let me know as soon as possible if you would be willing to help us. Yes of course, you are more than welcome! Out of interest, what is the name NPO and where about is the centre?